Pyne and Lomborg say ‘Australia consensus centre’ will go ahead in a new home after WA university hands back $4m in funding. Education minister, Christopher Pyne, has vowed to find another university to host the Bjorn Lomborg “consensus centre” and is seeking legal advice about a decision by the University of Western Australia (UWA) to hand back $4m in federal government funding awarded to establish the centre. UWA handed back the funding and dropped its connection with Lomborg, saying that lack of support among its academics made the centre untenable. 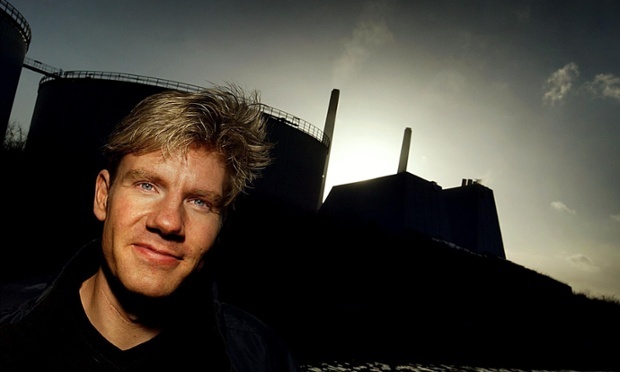 Lomborg said he remained committed to setting up the Australia consensus centre because his research was “far too important to let fall victim to toxic politics” and “grossly misinformed attacks”. I am disappointed that UWA will not be a part of this effort. The UWA vice-chancellor found himself in an impossible position when the centre was used as a political football. The facts about Australia consensus have been drowned out. Australia consensus would have put UWA at the forefront of global research efforts to improve the use of aid spending. It is deeply disappointing that UWA has lost this opportunity because of toxic politics, ad hominen attacks, and premature judgment. In a statement emailed to UWA staff and then published online 8 May, UWA vice-chancellor, Paul Johnson, said that strong opposition to the centre had put the university in a difficult position. Therefore, it is with great regret and disappointment that I have formed the view that the events of the past few weeks places the centre in an untenable position as it lacks the support needed across the university and the broader academic community to meet its contractual obligations and deliver value for money for Australian taxpayers. Johnson said that the planned Australian consensus centre, which would have been linked to Lomborg’s Copenhagen consensus centre, would have done important work, but “unfortunately, that work cannot happen here”. Pyne accused the UWA academics of “shouting down” views with which they disagreed. We are disappointed that the university has indicated it cannot effectively deliver against the contract and is seeking to return $4 million in research funds. The Government is awaiting legal advice on the status of the contract,” Pyne said after the university’s announcement. The government is committed to establishing the consensus methodology in Australia and to ensuring a wide range of views on issues are aired publicly. An Australian consensus centre will be established in an alternative location. A society which thrives on debate and a diversity of views should be a priority for all regardless of how fervently they oppose those views. UWA Academic Staff Association vice president Professor Stuart Bunt said the move was not censorship. This isn’t about censorship at all … Lomborg is not a climate [change] denier; he believes the scientific evidence which overwhelmingly shows that climate change is happening, he just debates the economics of how we should deal with it. The difficulty is he is neither a scientist or an economist, he’s a political scientist. Once you become attached to a university, you’re given a kind of credence by that university; people would expect an adjunct professor at UWA to be working in a professional manner and that their statements would be evidence-based. Lomborg would be using the name of the university, to put what are largely political opinions, rather than evidence-based statements, using the university’s name. Did Environment Minister Greg Hunt do his research when he dismantled the scientifically rigorous and productive Australian Climate Commission in 2013? When he said cutting the ACC would avoid duplicating government work, save almost $600,000 in the short-term, but at least $1.6 million into the future? Or when just 18 months later he allocated $4 million of taxpayers’ money to assist Danish climate change minimiser, Bjorn Lomborg, set up a “climate consensus centre” at the University of Western Australia? Did Greg Hunt do his research to discover why a Danish government committee comprised of eminent scientists found Lomborg guilty of “scientific dishonesty” in 2003? Did Greg Hunt do his research to explore why this group of highly credentialed scientists accused Lomborg of using cherry-picked data in a way that “clearly acted at variance with good scientific practice”? Did Greg Hunt do his research to discover why Bjorn Lomborg’s Copenhagen Consensus Centre was defunded by the Danish government in 2012? Never mind, who needs sound research when you have ideology in spades? 2. Desperately seeking policy-based evidence? When it was reported last month that the Abbott government had given UWA $4m to fund the centre, covering about a third of the costs, a spokesman for Christopher Pyne said that the centre had sprung out of discussions between the university and Lomborg. However, it has since been revealed that the proposal actually originated in the prime minister’s office. You’d think that the government’s spin meisters would have worked out by now that their efforts to elide facts are usually counterproductive. I mean, come on! There should be a Senate inquiry into how much UWA paid for such a ridiculous motto. As our insider said: “Some think an entire marketing department should be sacked!” Seriously. Whatever floats your boat but when we checked the vice-chancellor’s statement, sitting in the slider above was “Pursue Impossible”. Quite.